Lot Size: 474 sq. m. n/a "Dimensions: 20x23.39x20x24.03 mtrs"
Great beach front lot on beautiful expansive beach within the Playa Dorada single family home beach community. 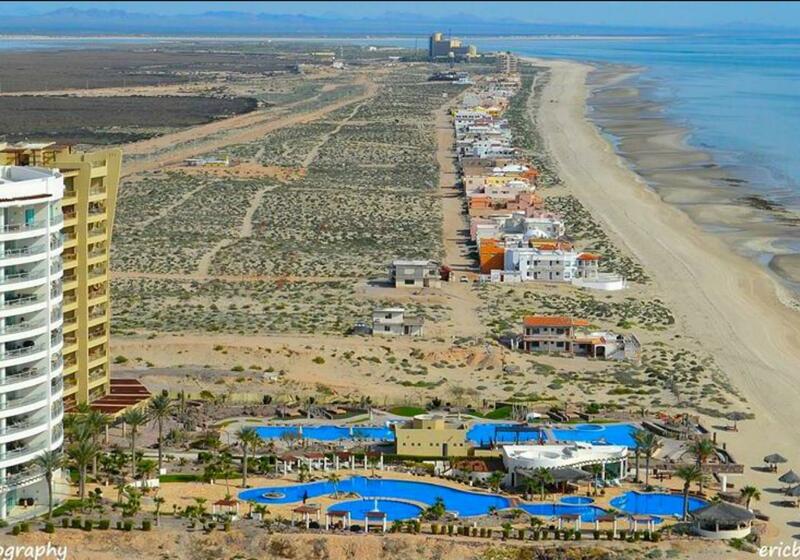 Thebeach community is gate guarded and is 3 miles west of the Mayan Palace and its Jack Nicklaus signature golf course. The lot has a bank trust and an AZ LLC for low buyer closing costs. Lot #3 is also for sale.